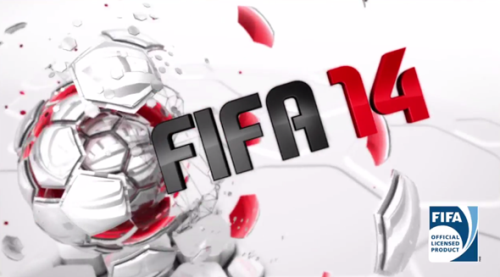 FIFA 14 has returned with the EA Sports title released at the end of September. I have waited a few weeks to put in a review of this game till after I had given it some playing time. Once again they have established why the FIFA series is the benchmark for soccer games. This year they have not gone out and made any ground breaking changes to the game, but have instead looked to refine what was already there and throw in a few added bonuses. There is certainly a sense of realism when playing FIFA 14. Gameplay feels more organic and at times feels like you are part of the game. What they have done this time is to improve some of the features they added in last year’s game. Skilled dribbling has been modified slightly. You still have the ability to slow down (LB/L1) your dribbling and the skill moves remain in the game (RS), but they have made it a little more realistic in terms of being able to dribble in tight areas. To add a new dimension to game play they have introduced shielding which allows you to hold the ball up and protect it from a defender (by holding LT/L2). To increase the realism in shooting, they have now introduced pure ball technology. What this means is that the ball will move more than before. Players can still use the different styles of shooting including driven shots (LT/L2), chipped shots (LB/L1), and curled shots (RB/R1). In FIFA 14 they have further upgraded the skill games by adding new challenges and additional skill games. What I really like about the skill games is that they put more of your real match skills to work in the games. Once again each of the games has bronze, silver and gold levels as well as a final level to accumulate as many points as possible. The best part yet: putting the intelligence in the A.I. The best thing about the new FIFA 14, in my opinion anyway, is changes in the AI. Your computer teammates have gotten a whole lot better. I will say that it’s not perfect, but at least now you have teammates that will make runs and work to get open. Despite these changes it is difficult to really open up the opposing team’s midfield. Even working to switch play has little effect on creating much space in midfield. Too often the ball over the top is the best way to open up a defense. With that said, the biggest reason for all of this is the changes made to defending. Defenders have been given added strength and ability. It’s nothing major, but it has made the gap between offense and defense that much closer. With changes made to defense it must be noted that they have also addressed the problems with pace. It is going to be much more difficult to use pace abuse as a tactic this season. Putting fast players on the wing is helpful, but no longer will teams be able to dominate by sending long balls to speedy forwards. Career mode has had changes made it to, but I would say that I’m disappointed with several of them. The global scouting network has been completely revamped. You now give your scouts specific instructions with up to six difference sets of instructions for your scouts to look for. While this is cool and can be helpful, it can also become time consuming if you are truly looking for talent to develop. The real problem with the career mode changes and the global scouting network is the changes made to the player search. Its utility has been greatly reduced. No longer can you search for specific criteria with most of the options whittled down. Your only options are based on positions, nationality, league, club and age. In fact, when finding players, the only way to know what skill level they are at is if you scout them, unless they are well known. The new FUT season has changed very little. This was perhaps my most played mode in FIFA 13 and plan to spend plenty more time (but not money) playing again this year. Some of the small changes they did make involve the transfer market including the ability to compare prices of cards that you want to sell. The biggest change is certainly to do with chemistry and the new chemistry styles. No longer do you need to find a specific manger that has the tactical setup you want to use. You can now develop a team and change the chemistry style of your players to give them the role that you want. I never really played the seasons mode much in the past, but will probably give it a try. Not too many changes here. Why fix something that isn’t broken? This year EA Sports is also offering FIFA 14 for free on any mobile device. This is a great addition to the FIFA family and I’m looking forward to trying it out as well. After spending several hours playing the new FIFA 14 I have really enjoyed it and would give it a 9.5/10. There are still some issues that need to be addressed. Too often the player collisions really interfere with play and don’t seem realistic. While the passing has been upgraded there are still times where it gets frustrating that your player does not pass where you think you told him to. Despite those niggling little issues, this game is an improvement over a game that was already fun and highly popular. The changes they have made have been largely positive and make the game feel like you’re actually playing a game of soccer. I currently play the PC version with my Origin name Shenkty5, so feel free to add me to your friends list. Let me know what you think of the game and leave your comments below.